Even for people who exercise regularly, eat right, and have a normally healthy lifestyle, pockets of stubborn fat can still exist around their abdominal, back and love handle areas. Previously, only expensive and invasive surgeries like liposuction and laser treatments were viable means of removing that stubborn, hard-to-lose fat. These procedures were painful, requiring anesthetics, and usually harmed non-fat tissue and cells, which required extended recovery times. 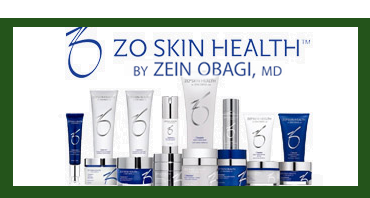 There is now a new and remarkably superior treatment available through board certified dermatologist Andres Tobon, D.O. of Brandon Dermatology called CoolSculpting®! What is CoolSculpting®? How does it work? CoolSculpting® is a patented FDA cleared procedure developed by Harvard researchers. They discovered that fat cells will crystalize at higher temperatures than other cells. A crystalized cell dies, and is then absorbed by the body naturally. CoolSculpting® is a simple 1 to 2 hour procedure that will crystalize the fat cells in a given area. In less than 90 days from the treatment date, the body will absorb the fat cells. That stubborn muffin top or set of love handles will vanish. No pills, no pain, no hassle. The CoolSculpting® procedure has no recovery time, and no additional drugs or prolonged post-treatment therapies are required. It is a simple in-and-out process that can easily be fit into an otherwise busy schedule with minimal to no disruption to daily life. CoolSculpting® is an excellent treatment for minor fat conditions like unwanted bulges around the waist and abdomen. It is not a treatment for large amounts of unwanted fat or conditions of obesity. More intensive procedures like liposuction are required for treatment of those conditions. CoolSculpting® candidates should already be at a regular healthy weight and have good diet and exercise habits. CoolSculpting® patients on average will see a 20% reduction of fat in targeted areas, however it is not designed as a weight management tool or treatment for overweight conditions. It is primarily an aesthetic treatment for individuals who no matter how hard they try other methods, like healthy eating and exercise, just can’t eliminate those hard-to-lose fat areas. Are the CoolSculpting® results permanent? Will I need multiple treatments? Most patients can get the maximum benefit of CoolSculpting® with just 1 procedure. The fat cells responsible for the condition of bulging will not exist in your body once the procedure is complete. Since the appearance of fat is mostly the result of existing fat cells increasing in size, this treatment is designed to be permanent. Our CoolSculpting® professionals will advise you if additional procedures will have any benefit. CoolSculpting® is designed as a long-term treatment option. No additional treatments should be necessary. It is, however, important to always maintain a healthy diet and exercise program after treatment. Your body can always replace the removed fat cells if it must. The actual treatment should last only a few hours. Full benefit will happen overtime up to 90 days after the initial procedure. 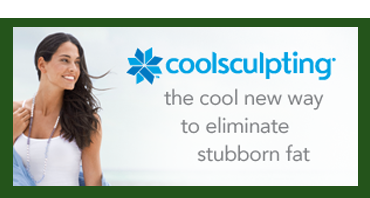 Contact Brandon Dermatology today and schedule your CoolSculpting® consultation.